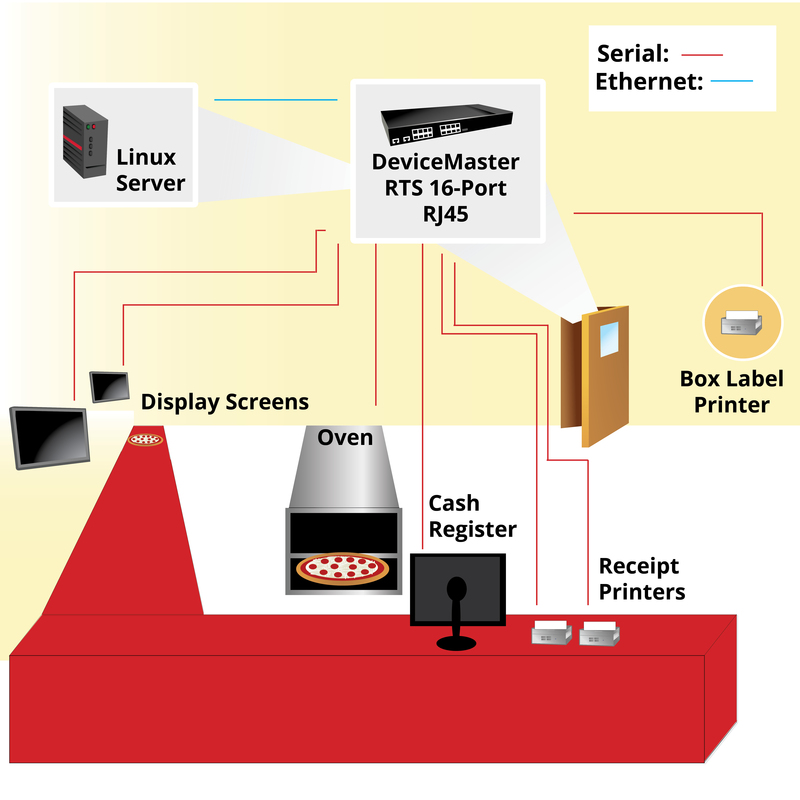 To accommodate for the legacy serial connections used in a large pizza chain, Comtrol’s DeviceMaster RTS 16-Port RJ45 connected the device to the cash registers, receipt printers, terminals, ovens, and box label printers. Ethernet was then used to connect it to the company’s specialized Linux server. Both the DeviceMaster and Linux server are interrelated as one sends out a command while the other retrieves the necessary information; without proper connection, communication is not possible between these two devices. Given that the pizza chain was using a customized Linux server, Comtrol’s industry leading Linux driver support was greatly utilized. Comtrol’s technical support team worked inconjuction with the staff from the pizza company to ensure communication with the very specialized server. To further learn about this solution, CLICK here to read the full story. 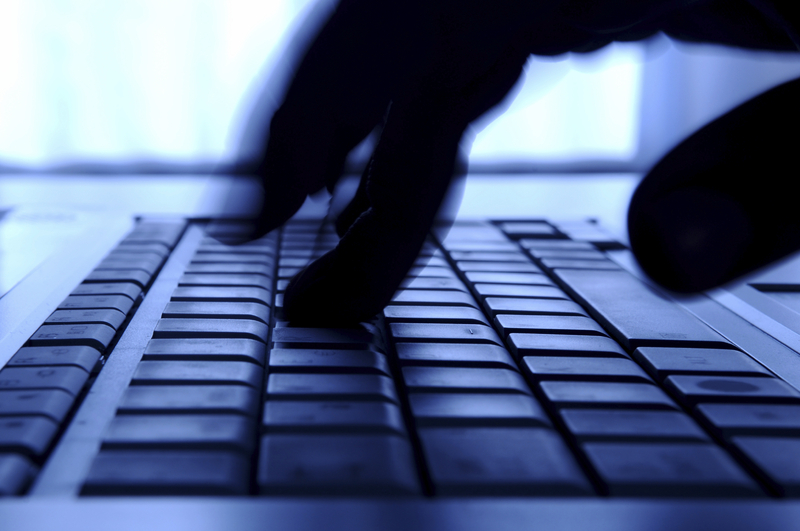 Recent data security breaches have put an emphasis on security. Customers of the medical, financial, and government industries have increasing worries that their confidential information may be stolen. 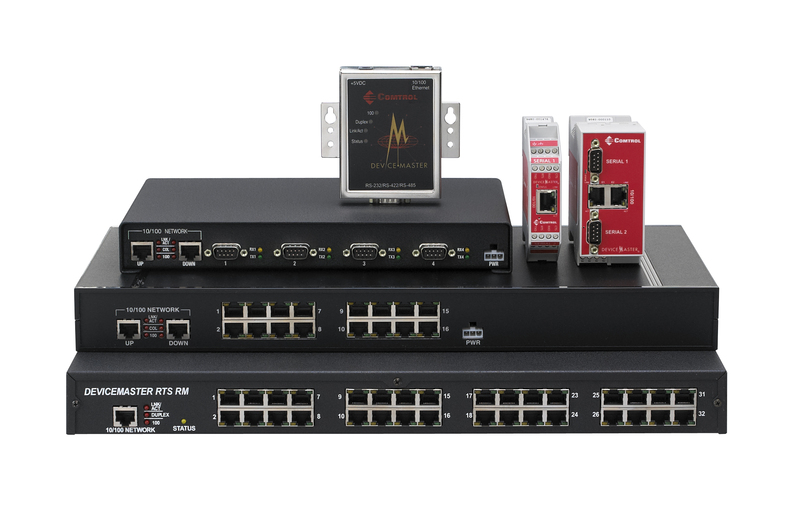 Comtrol’s DeviceMaster RTS, PRO, and Serial Hubs enable secure data communication across connected serial devices. Comtrol’s DeviceMaster family of products offer the enhanced security features of SSL and SSH encryption. With these additions, DeviceMaster is able to effectively serve an even greater range of roles, reliably enabling serial to Ethernet communications while protecting sensitive data. For users with demanding security requirements, there are two options that the DeviceMaster can provide. The first involves a free software download from Comtrol’s website called Secure Port Redirector. This software creates COM ports that redirect data between the host application and DeviceMaster using encrypted SSL data streams. For the second option, DeviceMaster can itself be locked down, giving full control over communication ports to administrators only. Constantly changing as technology and regulations increase, the medical industry maintains strict quality demands. The cost and complexity of medical and FDA certifications, also add to the difficulty of ensuring equipment and procedures consistently meet standards. Comtrol provides reliable communication solutions while ensuring lasting product stability for medical manufacturers. DeviceMaster® device servers are used in a wide variety of communication and data collection applications, such as establishing the software bridge between medical facilities; patient rooms and Electronic Medical Records (EMR) system server locations. For example, one medical management company has integrated Comtrol’s DeviceMaster RTS into their software program process, creating a seamless data transfer. This software program gives hospitals a cost-effective way to collect, store and synchronize data from a large list of medical devices. Our RocketPort® serial cards and hubs provide essential connectivity between peripheral devices and equipment to ensure precision and reliability for medical processes, anywhere from eyeglass lens fitting to vital sign monitoring. 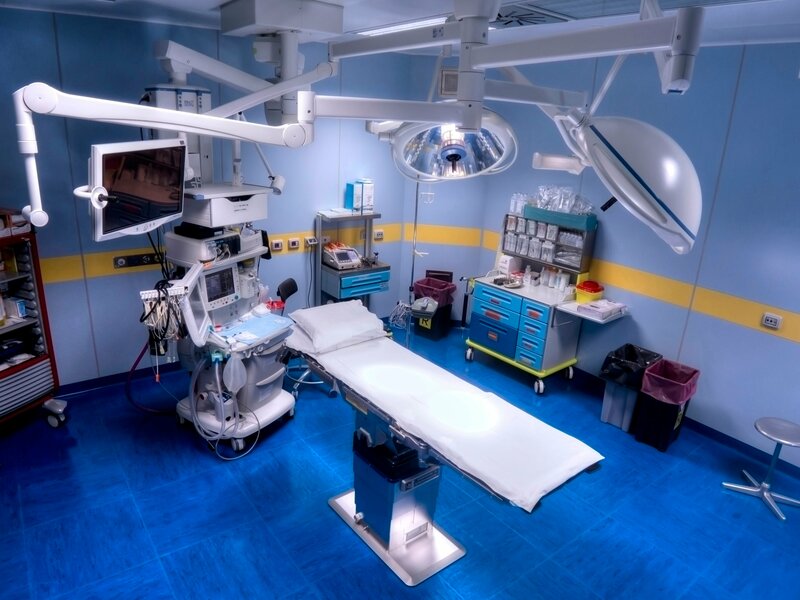 Comtrol’s connectivity solutions for the medical industry ensure that equipment and procedures meet the industry’s regulations and quality demands. Why do you need to be adapting legacy systems? Outdated modem systems can cause problems when companies are looking connect legacy and new devices to a central office. One international software company found that the protocols needed for old modems were no longer congruent with their new system. 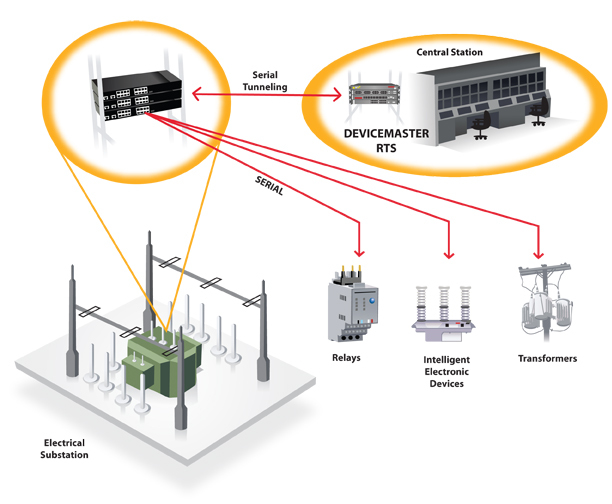 Comtrol’s DeviceMaster RTS 32-port device server provided connectivity for the modems, allowing the central office to communicate data to remote substations. To utilize the old modem systems, Comtrol created a custom RTS feature which mimicked the protocols needed to work with the legacy modems. With extensive growth of automobile travel in the United States, the efficiency and reliability of parking automation is critical. It is necessary for customers to experience a streamlined and intuitive process when entering and exiting parking areas. 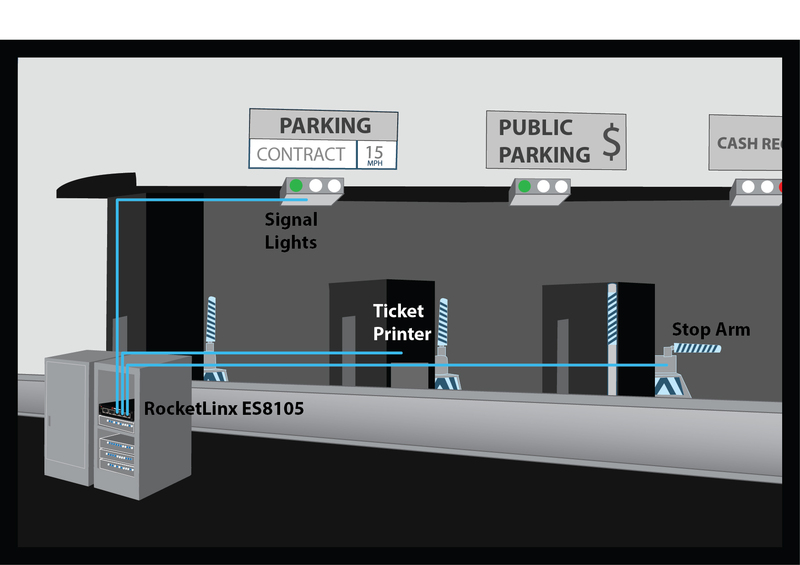 The efforts to create this experience involve multiple components and processes; the gate arm, card reader, ticket printer, sensors, and fee calculator must be able to seamlessly communicate in order for a parking gate to work properly. One company that has been on the forefront of innovation in the parking automation industry in the United States has been using Comtrol’s legacy DeviceMaster RTS 1-Port Serial-to-Ethernet gateway technology for an extensive period of time, and to great effect. However, this company has recently decided to upgrade their parking automation systems using Ethernet communication. As a result, the DeviceMaster RTS products must be replaced with industrial Ethernet switches. Though Comtrol devices have had a consistent presence in the security market, many of Comtrol’s switches and gateways are used – and even specifically designed – for access control. 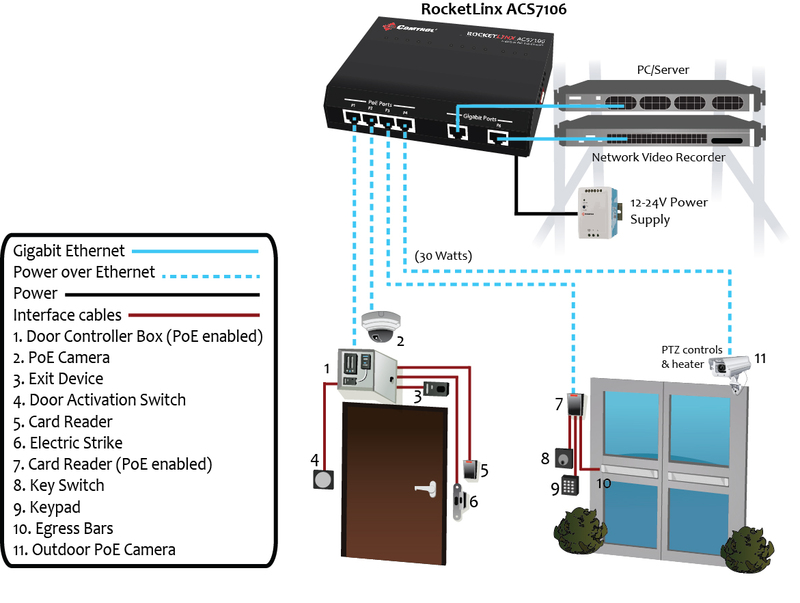 The RocketLinx ACS7106 is the industry’s first UL294/UL294B listed PoE switch that meets all state and local government requirements for access control installations. It is certified with Siemens and HID access control products, and features voltage boost technology (12-24VDC input power) for easy integration with fire/alarm/access control power systems. 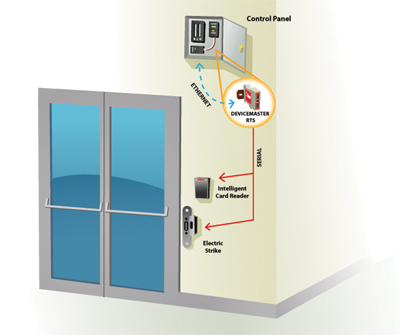 UL294 is the standard of safety for Access Control System units that all access control systems must meet. UL294B is a new subset of the UL294 standard, specifically for the use of Power over Ethernet (PoE) in access control systems where PoE is the primary power source. These PoE devices are required to remain working normally through multiple rigorous tests in hazardous conditions in order to obtain the UL294B certification. These tests consist of voltage/electrical variation, humidity, jarring, mechanical strength, temperature tests, etc. In the door control industry a credential, such as a badge containing an RFID tag, is presented to a reader. The reader sends the information to a control panel, a highly reliable processor, and compares the credential’s information to an access control list and either grants or denies that person access to the building. 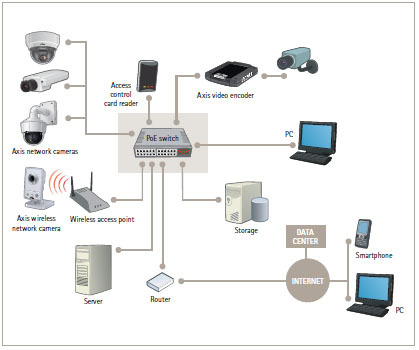 Within these access control applications there is a need to bridge the serial communication of the door controller into the network. Comtrol’s DeviceMaster RTS has been used to create this bridge in many different door control applications. The DeviceMaster RTS takes the serial information from the door controller, converts it and communicates to the control panel via Ethernet. Companies rely on reliable and accurate access control to provide the safety and confidentiality that they need for their employees. The DeviceMaster RTS makes a good fit for door control applications because of its software-selectable RS-232/422/485 communication modes, ease-of –use and reliability. By the end of this year, the Obama administration has set aggressive goals for hospitals to implement electronic medical records (EMR) that meet the “meaningful use” objectives requirements. This creates the need for a software bridge between the patient bedside data to the network where the medical information will be stored in the patient’s EMR. This storage of medical information in the EMR allows medical practitioners to observe trends in the monitoring data over periods of time. One medical management company has integrated Comtrol’s DeviceMaster® RTS into their software program process creating a seamless data transfer. This software program gives hospitals a cost-effective way to collect, store, and synchronize data from a large list of medical devices. The serial information collected from medical devices such as infant warmers and incubators, pulse oximetry devices, cerebral/somatic oximeters, light and sound meters, oxygen analyzers, etc. is gathered by Comtrol’s DeviceMaster RTS in each hospital room. 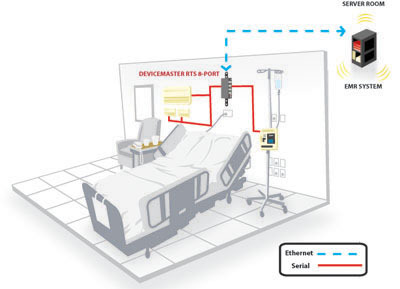 The DeviceMaster transmits this information seamlessly over the Ethernet network to the EMR software program where it is saved in the patient’s file. To learn more about Comtrol’s DeviceMaster products, visit www.comtrol.com/devicemaster. Comtrol’s DeviceMaster RTS family of serial device servers enables browser-based remote port/device monitoring and configuration and provides an application software platform for local processing. It is designed for device networking versatility and offers software-selectable ports (RS-232/422/485) as well as the ability to host local embedded programs that are commonly used for intermediate serial data processing, protocol conversion, and other data-based applications. Ranging from 1-port models that provide single-device networking to 32-port models that offer high-density connections for specialized applications, the DeviceMaster RTS product is a network-attached solid-state embedded device server network serial port that delivers exceptional price, performance and reliability. For more information or to compare different DeviceMaster RTS models, please contact a member of our sales team at [email protected] or 763.957.6000, or visit our RTS Product Comparison Chart. 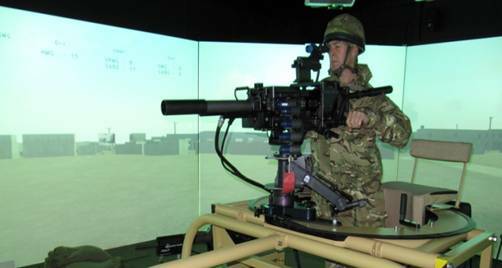 The world’s largest virtual training system, Combined Arms Tactical Trainer (CATT) developed through Lockheed Martin under contract with the British government, connects up to 400 war fighters, enabling them to train together in an immersive computer-generated environment. Soldiers at each training center enter a vast network of linked simulators and emerge onto a virtual battlefield where they can train together in real-time. The realistic, geo-specific environments support training for ground, air, logistics and other components of the modern-day battlefield. Currently, there are two training sites in operation for the British Arms: Warminster, England and Sennelager, Germany. Both sites have the capability to be linked through a wide area network for larger training exercises, making CATT the largest networked virtual training system in the world.